Over the summer, Highway 2 is undergoing resurfacing and repair. 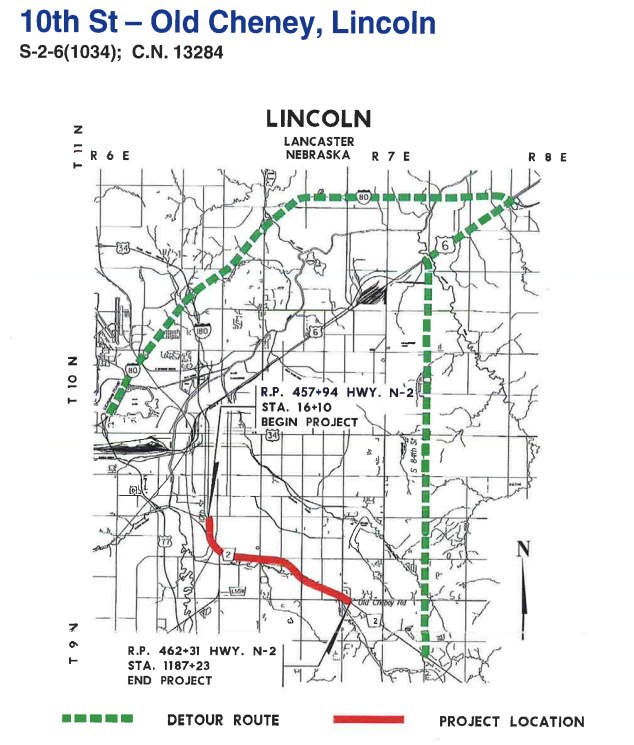 While this may cause a temporary inconvenience for many of us in District 29, the project will help Highway 2 remain a viable option for transportation through Lincoln and to its surrounding towns. The project starts just south of the intersection of Highway 2 and Van Dorn Street, and extends to 56th St.
To help ease congestion, highway closure for resurfacing will take place during non-peak hours from 7 PM to 6 AM Monday through Friday, and from 6 AM Saturday morning through 6 AM Monday morning. It is expected that the resurfacing will be complete by the fall. During this time, a detour is being provided for through traffic, which utilizes I-80, Highway 6, and 84th St. Additionally, the 14th, 27th, 33rd, 40th, 48th and 56th cross streets will still be available for traffic. For additional information on the project, you can visit the Department of Roads Frequently Asked Questions document. Any questions or comments can be sent to Sarah Kugler, the Public Involvement Manager at the Nebraska Department of Roads. She can be reached by email at sara.kugler@Nebraska.gov or telephone at (402) 479-4871. As always, if you have any questions or concerns about the Highway 2 project, or any state issues, you can contact my office at (402) 471-2734 or by emailing me at kbolz@leg.ne.gov. Thank you and Drive Safely!